Ladies if there is one thing we love its nail polish! You can never have enough! So, when I was walking through Saks Fifth Avenue and ran into this master piece you can believe that I almost passed out of excitement. 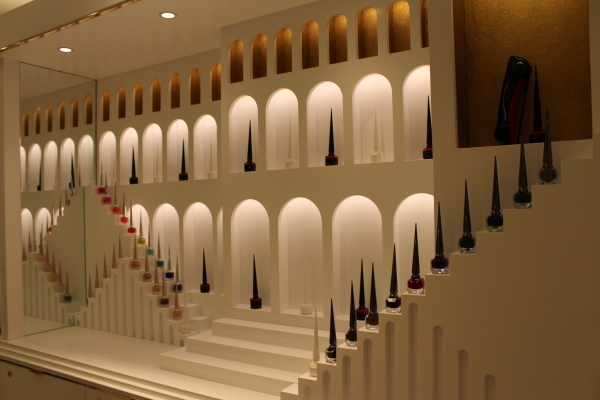 Louboutin has created a Nail Laquer line- Yup, its true, and the bottles are just as beautiful as their shoes. 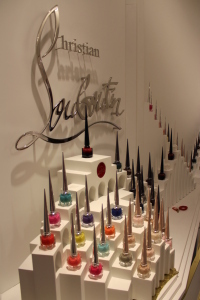 The classic Rouge Louboutin colour is as stunning as the red soles and it doesn’t just end there. They have every colour imaginable and with just one coat you get the exact colour as shown in that bottle, it doesn’t take 3 or 4 coats and you still have those colour wash lines! But this perfection doesn’t come cheap, a bottle costs $50.00. Personally, as perfect as it is, I don’t have $50.00 lying around to buy this little bottle of heaven and what was amazing is the sales guy who ALMOST got me, was understanding and agreed!